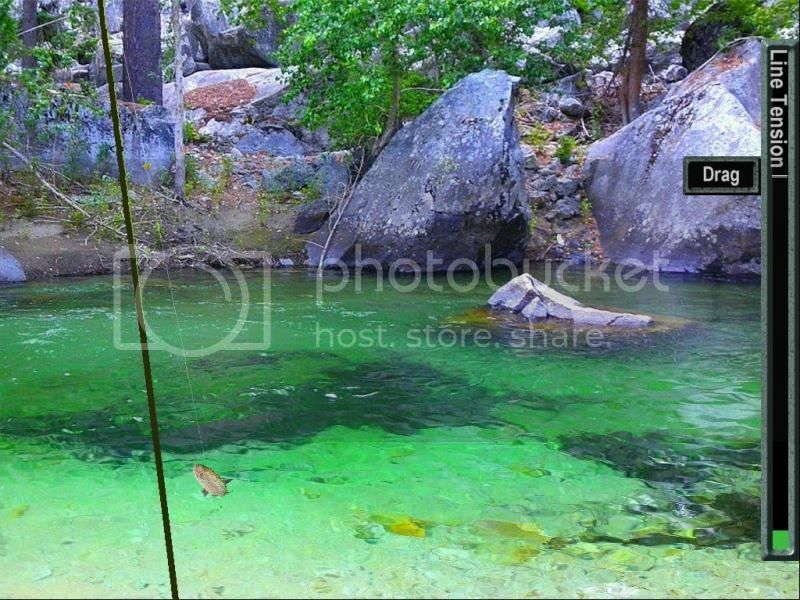 pishtech.com • View topic - Kings River Finished For Your Enjoyment! Kings River Finished For Your Enjoyment! Tonight I finally finished the Kings River for your fishing pleasure. The Kings River is actually quite an extensive river located in South Central California. Originating from the high Sierra Mountains, it drains into the San Joaguin Valley where it provides a lot of needed water for the nearby orchards. 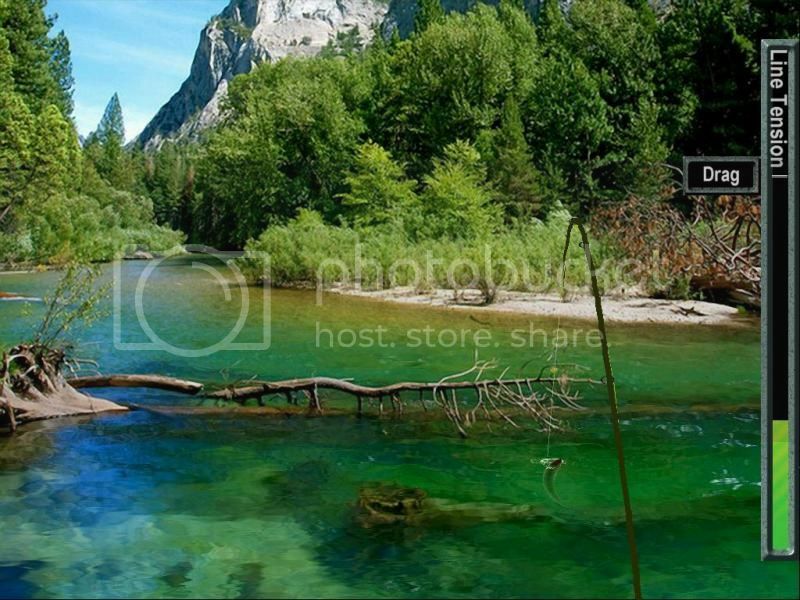 At one time The Kings was a great trout fishery and a Blue Ribbon trout stream in Central California. The Upper Kings River can be quite remote and wild in character and many parts can be accessed by hiking only. The scenery is typical of a high mountain stream with pine trees and foliage typically found at higher elevations. The Lower Kings River starts below the Pine Flat Dam just outside of Fresno, California. The lower reaches are quite flat and shallow and many parts of it are wadable and easily accessed from the highway. The parts that I showed in the YouTube video were from the Lower Kings as this was the stretch where Dr. Skip Adrian and I spent a lot of memorable times fishing together. In this 17 scene Kings River outing you will be fishing both the Upper and Lower reaches of this beautiful river. 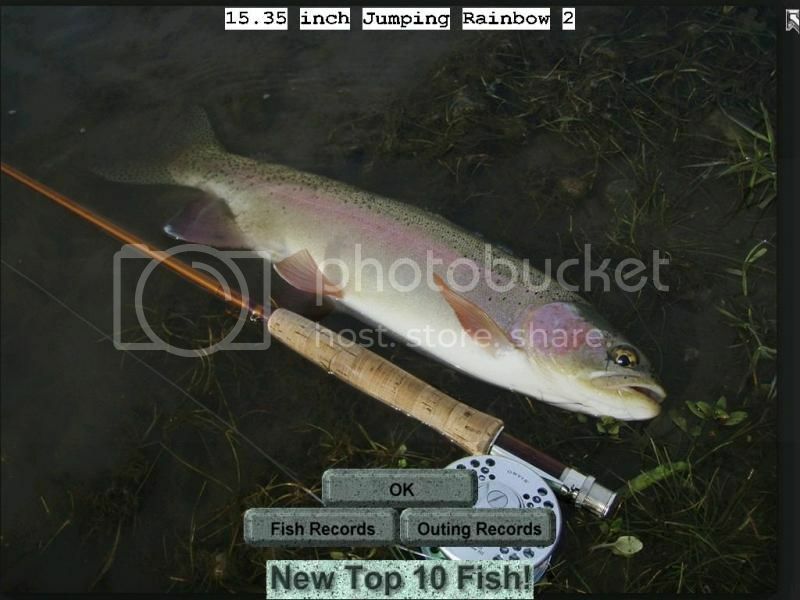 There are only two main species of fish in this outing but I have included two different Jumping Rainbow fish files for your fishing enjoyment. These two fish will have a slight different look to them and the jump rates have been set up a little differently also. I thought the latest Jumping Rainbow 2 would actually reflect more of the fish caught in the Lower Kings. There are both wild and stocked trout in the river and the wild ones have a much brighter coloration than the stock fish. You should be able to notice the difference when you catch them in the outing. Here are some pictures of the Upper Kings River. The scenery is as beautiful as it is breathtaking in the higher elevations. As the fish are not very big (all relatively, of course) in this outing, you will have good sport using the typical tackle for this type of fishing. A 9ft, 5wt rod and 4 or 5x leader will give you the best fight. This was designed to be a dry fly outing but you might be able to catch some very nice big fish with streamers and nymphs and crayfish. I hope you will enjoy fishing this outing and share some of my old memories with me while doing it. Please post some comments and caught pictures on the forum for everyone to see. Re: Kings River Finished For Your Enjoyment! I'll post the videos later. Looks excellent, Stanley! I'll have to DL it this weekend and check it out. Started a new job which has been taking up a lot of time at the moment, so I'm sorry I haven't been really active. Rest assured, I'm still here though! Cutch...I am glad you enjoyed the Kings River outing and thanks for the kind words. I really enjoyed building this outing because it represented a very memorable period in my life. Teaching Art in California and fishing this beautiful stream about 40 minutes away from my home in Fresno, California. I miss those good old worry free days. The world is just not the same anymore with so much trouble and conflicts brewing all around the world. I hope you will post your videos when you get them finished. Can't wait to see them. They should be great! Chuck, good to hear you are working at your new job now that the good fishing season is almost over in your area. LOL We all know RL always comes first and we will look forward to seeing more of you in the near future. The Spring and Summer of 2014 should be a memorable one for you as well as you started from scratch and became a fine flyfisherman and fly tyer within a very short period of time. I hope this will add another dimension to your future fishing enjoyment. I had to nag you for a couple of months before you finally did it. Congratulations! It won't be too long before the weather will get too cold to do things outdoors. I hope some of our old members will return to the Forum soon.